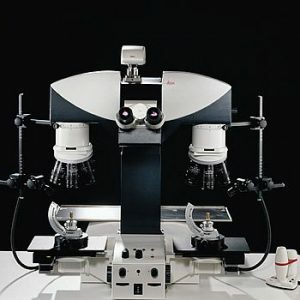 The Leica FS4000 forensic comparison microscope combines the latest light microscopy technology with unequalled user friendliness and ergonomy in an integrated solution. 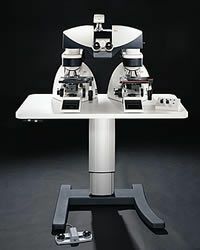 The Leica FS4000 enables high precision comparison of two objects at magnifications up to 1500x and supplies reliable evidence of the tiniest differences between the microstructure, texture, and color of samples. Contrast techniques such as brightfield, fluorescence, and polarization are provided, and the user can select a contrast mode in a fraction of a second. 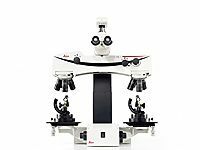 Various imaging modes (split, superimposed, and combined image) can be set with the press of a button.